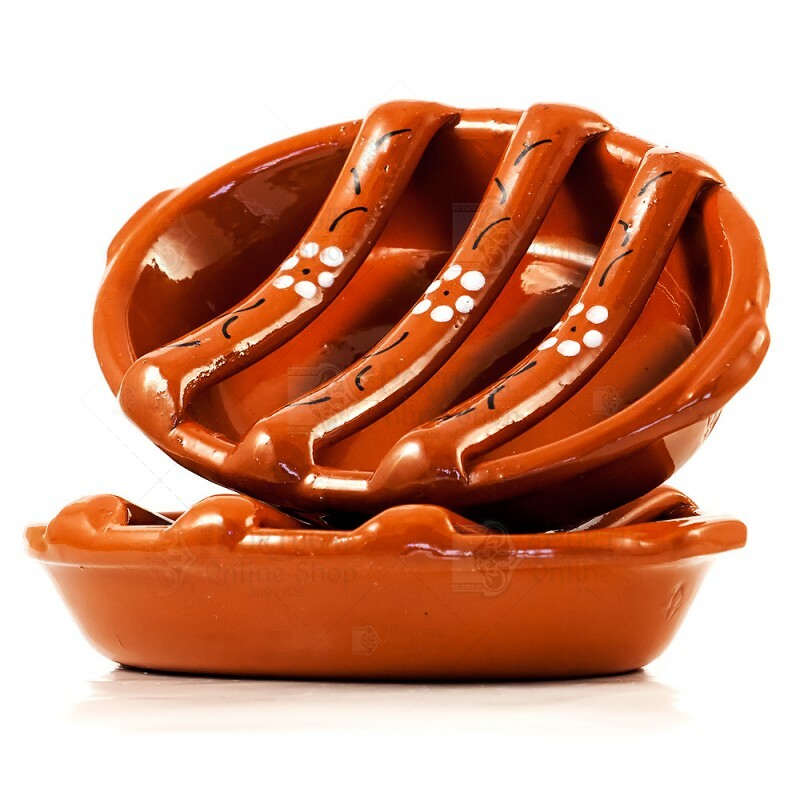 The Portuguese "Assador de Chouriço" or chorizo sausage cooker is a traditional handmade clay dish specially made to cook all kinds of Chouriços, Linguiça, Morcelas, and even more typical Portuguese sausages. 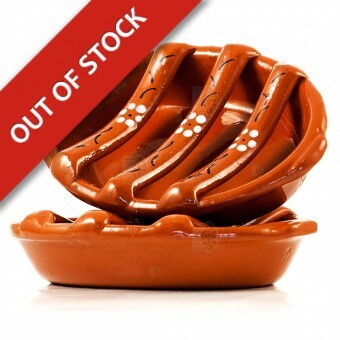 It's an oval shaped dish, not very deep, with racks on top to support the food. 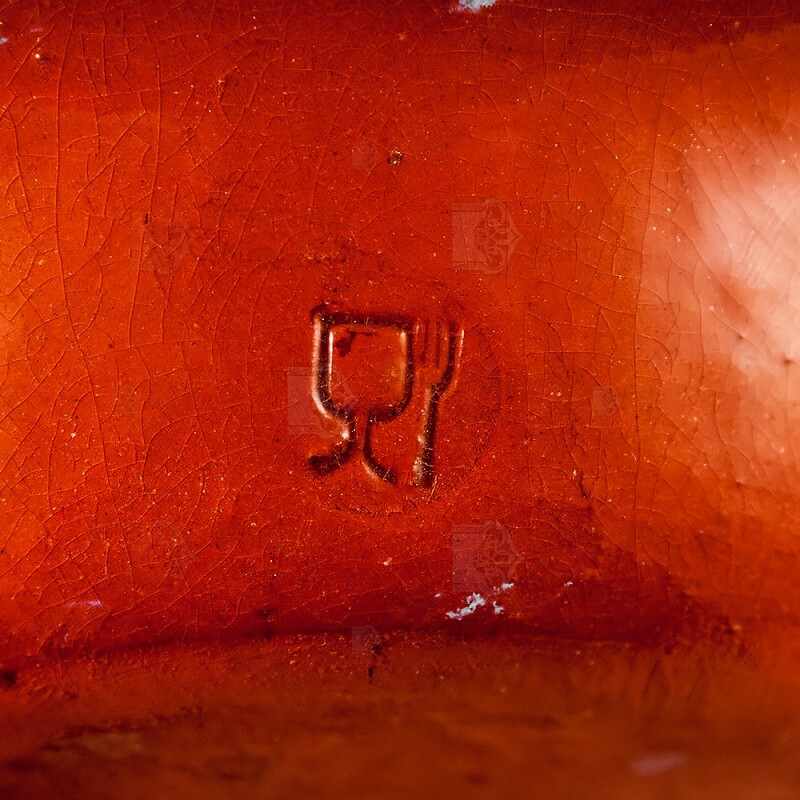 It's usually clear or with painted motifs. 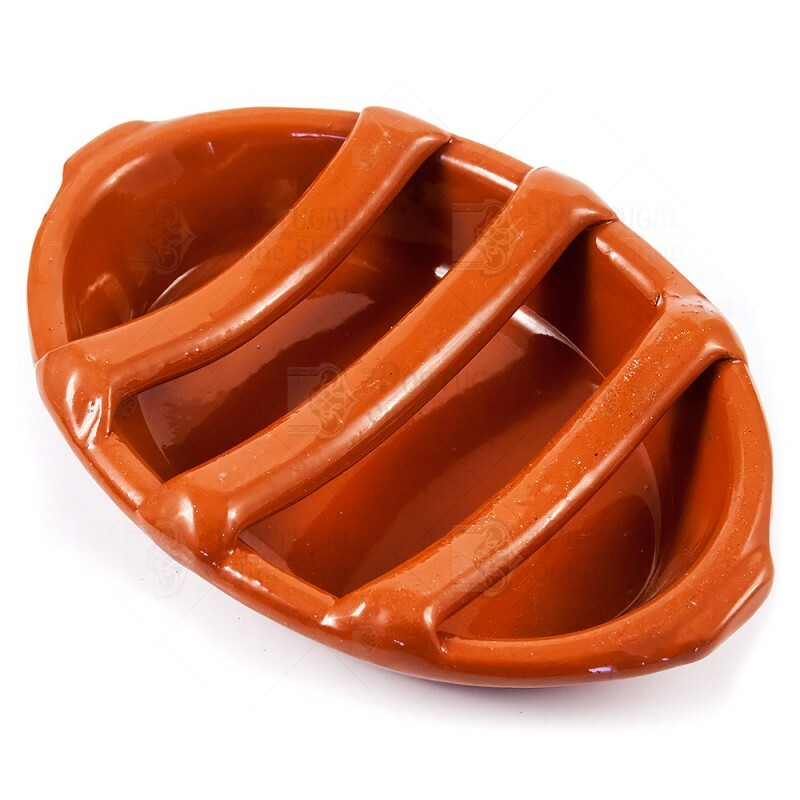 It's usage goes way back in history, but it is still today a common utensil in a traditional barbecue or hangout with family and friends! - You may choose handpainted or non painted version. Pour some Alcohol in the bottom, just enough to coat it. 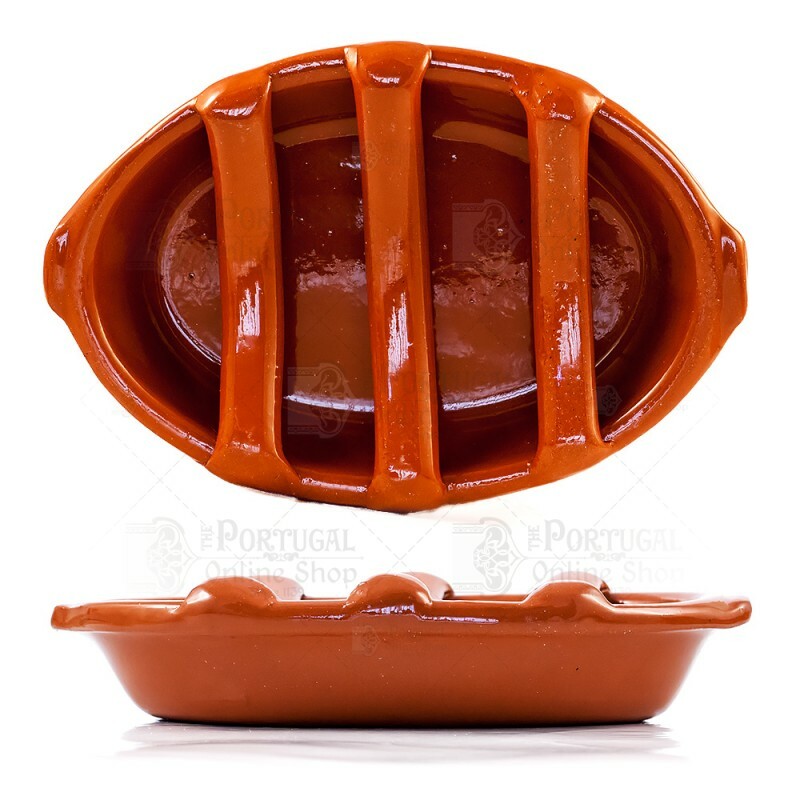 Suggestion - Use Aguardente, Bagaço, Brandy or even Port for different experiences! 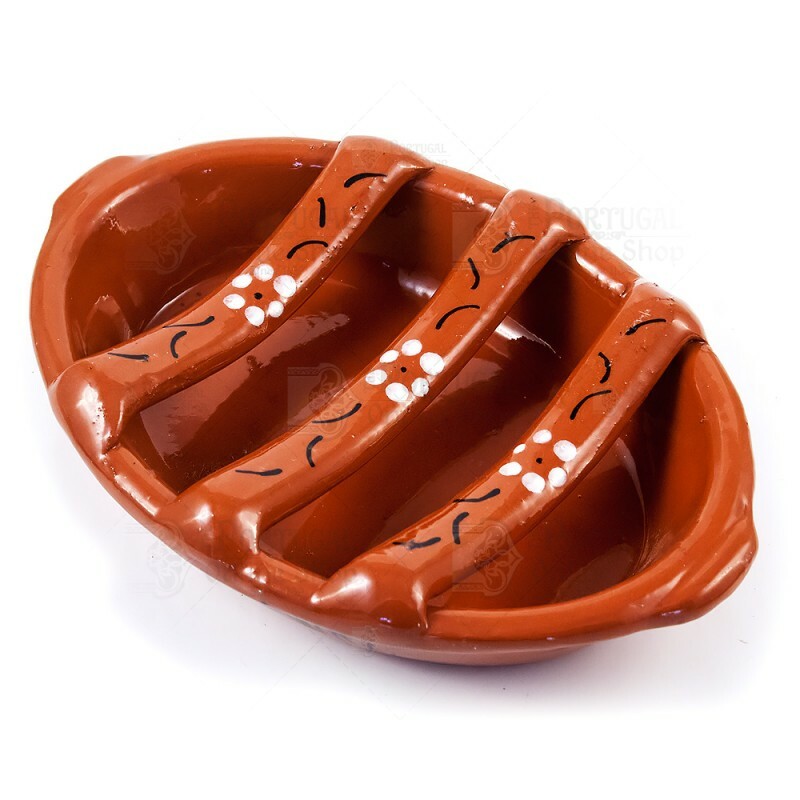 Make a few holes with a fork in the Chouriço (or whatever meat you want) Sausage and place it evenly along the top on dish. Set the alchohol on fire and let it cook for a couple of minutes each side. It was in a filthy state, full of dirt. Had to put it in the dishwasher twice. 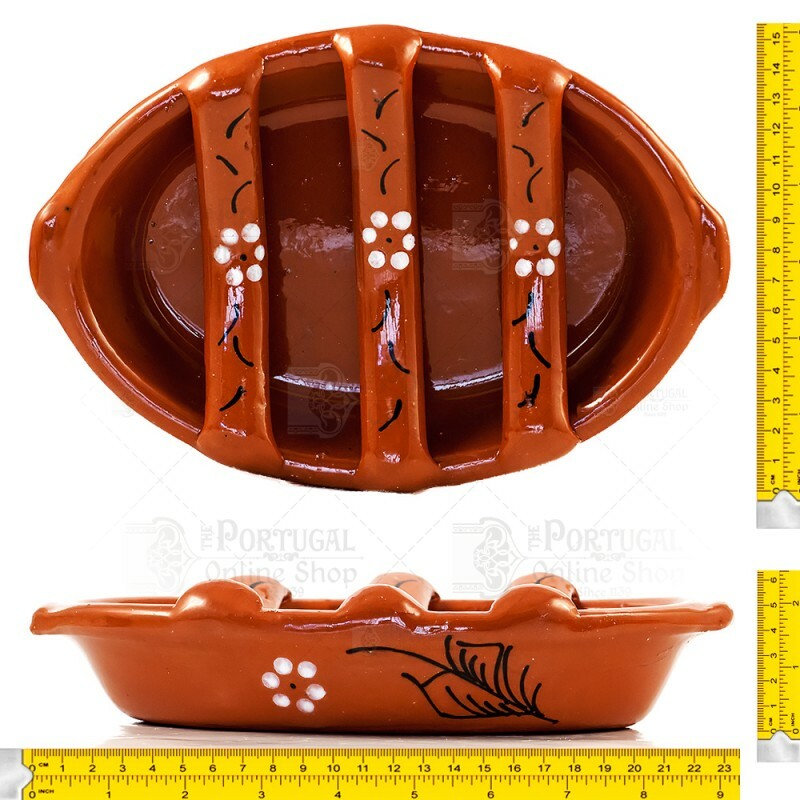 I have seen this product in Lisbon in my apartment and tried it out. I liked it so much that I wanted to have it at home. I've been looking for a long time and am very pleased to find it in your business. When the product arrived, we tried it the same evening. Perfect!